(source: Nick Murray ‘The Excellent Investment Advisor’). The endowment of a long, comfortable, and totally worry-free retirement, with no compromise in lifestyle, and no real concern about ever running out of money. The need/desire to intervene meaningfully in the financial lives of one’s children, during one’s lifetime and/or in the form of legacies. The ability to fund, in whole or large part, the education of one’s grandchildren. The ability to make a meaningful legacy to a much-loved school, church, charity or other institution. 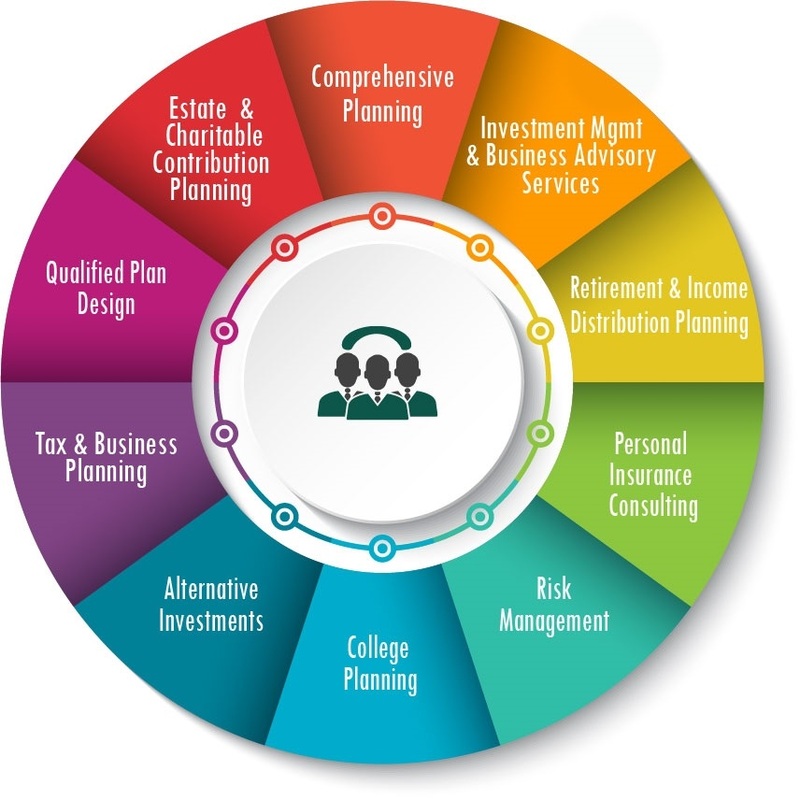 Our team of professionals provide objective, comprehensive financial planning and investment management. With our strategic and systemized process, we create integrative plans designed to accumulate and preserve assets. Our mission is to guide and empower our clients with the ability to enhance their lives, and the lives of the people and causes they care about.